You're An Absolute Idiot As Far as Your Knowledge of Yoga Is Concerned! Would you please let Michael Gleghorn know that he is an absolute idiot as far as his knowledge of yoga is concerned—especially Iyengar yoga? It is a sign if ignorance to talk about something that one knows nothing about. If more people in this world practiced yoga, as opposed to organized religion, this world would be a much better place! I’m sorry you didn’t enjoy my response on yoga. I guess you won’t much like my upcoming radio program on the subject either. Just so you know, I did try to quote primarily from authoritative yoga sources (including the Iyengar website and various yogis, swamis, etc.). Furthermore, before sending that reply to my correspondent, I had Brad Scott (formerly of the Ramakrishna Order) read it for accuracy. He thought it quite good. Most likely you disagree with my personal perspective on yoga. That doesn’t surprise me. I certainly don’t expect everyone to agree with me. I write from within a Christian worldview perspective. If you don’t share that perspective, it’s not surprising that you would not agree with some of my remarks. The worldview upon which most of yogic philosophy is based is utterly incompatible with biblical Christianity. If you’ve accepted yogic philosophy, we would doubtless differ on a great many issues (e.g. the nature of God, of man, of salvation/liberation, the uniqueness of Jesus, what happens after death, etc.). If one of these competing worldviews is true, the other must be false. 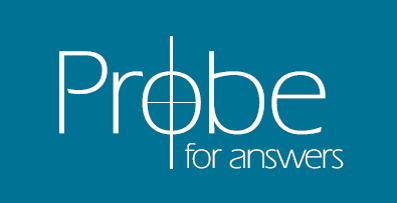 For many reasons (virtually every article on Probe’s website addresses these reasons in one way or another) I’m a completely convinced Christian. I therefore do not want to see my brothers and sisters in Christ led astray by embracing what I honestly believe is a false worldview. And that is really my main objection to yoga. It’s certainly nothing personal against those who practice it. "Is it OK for a Christian to Practice Yoga?" Why Did God Allow Animals to be Eaten and Sacrificed? "The Real Problem in This World is People Like YOU!"